Kidomaru was the first member of the Sound Five. 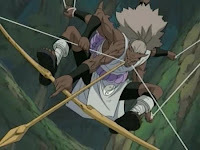 Kidomaru is an excellent tactical analyst, making sure each of his attacks is put to use in determining an enemy's weak point. 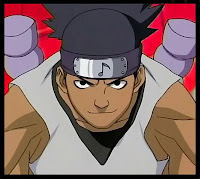 During his battle with Neji Hyuga, for example, he is able to slowly pick up on a blindspot in Neji's defenses, and proceeds to focus his attacks on that point. He generally sees a battle as a game, and often plays around with the opponent too much because he prefers to have fun seeing the opponent struggle. His speech also reflects this-he refers to Neji as a "trash character," and claims that, like all trash characters, Neji will die first. Despite this claim, Neji is able to send a burst of chakra through one of Kidomaru's webs during their battle, immobilizing him. Unable to defend himself, Kidomaru is attacked by Neji and soon dies from internal trauma.